Congratulations on your upcoming wedding! So much life, love, and laughter has led up to this moment, and now is your chance to bask in the glory of all you’ve accomplished as a couple. Your wedding day should be one of the best days of your life as family and friends gather to celebrate at one big, unforgettable party. So buy the expensive wedding dress, order those beautiful flowers, have your favorite food catered, crank up the tunes, get the send-off sparklers — and don’t forget the wedding limo! Here are some reasons why everyone should hire a wedding limo service for their special day and choose Acadiana Courier Tux & Limo in Baton Rouge and Lafayette! If there’s one day in your entire life that you decide to rent a limo, your wedding day should be it. 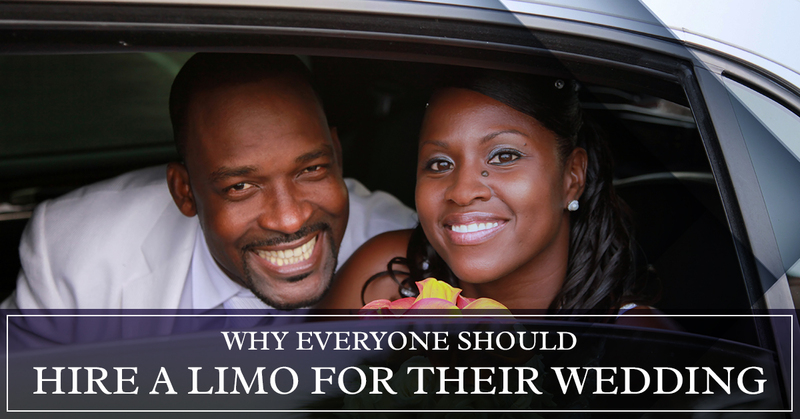 Sure, you can ride in a limo for a number of occasions, whether that be your senior prom, a business meeting, or just a drive to the airport, but there’s nothing quite like the luxury of being whisked away in a white wedding limousine with your honey. The purpose of your wedding is to celebrate two lives joining together, so don’t be afraid to spoil yourselves! You will want to remember your wedding day as a time of bliss, and it all comes down to the details like the dress and tux, the venue, the guest list, the food, and the transportation. Trust us, you won’t look back fondly on riding to the honeymoon suite in a Honda! Not only do stretch limos offer luxurious wedding transportation, but they also come with a number of fun amenities for you and your wedding party to enjoy. Champagne, wet mini bars, flat-screen TVs, speakers, light shows, and disco ceilings are just a few of the options we offer at Acadiana Courier, and each of our wedding busses and limos come with different setups that cater to your unique needs. If you’re looking for a fun way to get everyone excited and loosened up on the big day, consider it a wedding pre-party! Arriving at your wedding venue and reception in a stunning white limo is a tradition that has stood the test of time — as is being sent off by your loved ones as you and your new spouse ride off into the night in style. If you’re getting married at The Gatehouse, the Lake House Reception Center, or any other traditional wedding venue in Baton Rouge, a luxury limo is the icing on the cake. Our wedding limo trolley is a great choice for those with a classic taste! If your wedding day is approaching and you’re still on the hunt for the perfect wedding transportation in Baton Rouge or Lafayette, check out our fleet at Acadiana Courier Tux & Limo. Not only do we have a wide variety of wedding busses, limos, and trolleys for you to choose from, but our friendly and professional limo drivers will treat you, your spouse, and your wedding party like royalty on the big day. Contact us today with any questions you may have, and feel free to check out our testimonials from past customers. We look forward to being part of your special day!